The policy of the new Government of Canada is to act on behalf of the same corporate interests. In an industry where there are many producers and few buyers the only real competition is between the sellers driving down prices. In such an environment, as in the U.S., hefty government subsidies are required to ensure profits for producers and maintain a viable industry. 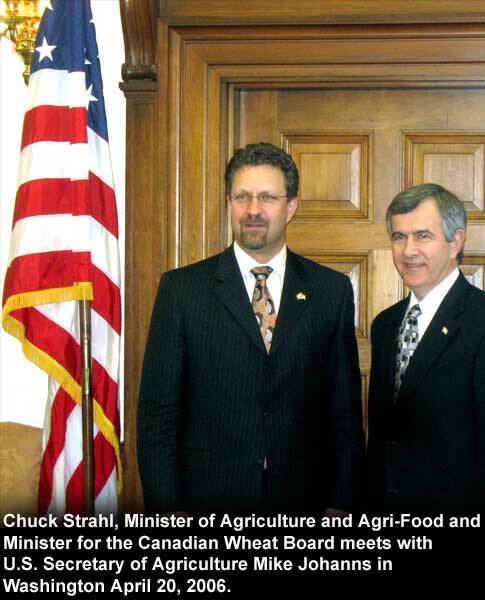 Agriculture Minister Chuck Strahl has taken steps to further this policy through removing directors of the Board and threatening the President with dismissal. He has said: “farmers will have a say on the future of the wheat board's monopoly over barley marketing early next year." At the same time he refuses to: “specify which farmers will vote or how the question will be worded.” He added: “the vote results wouldn't be legally binding." (3) As well he refuses to commit to a plebiscite among wheat farmers. The success of the Wheat Board is illustrated by the absence of the need for high levels of taxpayer subsidies for producers as is the case in both the United States and the European Union.